For about the next week, my review of How to Play Chess Endgames is at the ChessCafe homepage. It's also permanently archived here. This book, billed as the companion volume to Fundamental Chess Endgames, seeks to impart this elusive and intangible ‘feel’ to its readers. Rather than providing an encyclopedic approach to every reasonable R+3P vs. R+2P formation, Müller and Pajeken have organized How to Play Chess Endgames by general thematic concepts. Small bits of instruction are provided a little at a time, supplemented with multiple real-life examples from top-flight competition. The idea is not to have the reader memorize massive amounts of material, but to begin to recognize typical positions in order to understand how to handle them in the heat of battle. In other words, to acquire a “feel” for common endgame themes. Elizabeth Vicary, teacher and chess coach at Brooklyn's I.S. 318, is quite the animated writer. 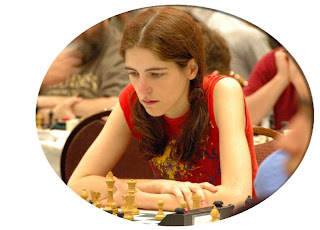 You can find her work frequently at Chess Life Online and in the pages of Chess Life magazine. She now has her own chess blog, which became an instant hit. 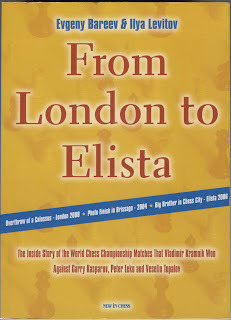 It includes topics (even chess sometimes) from a perspective you just won't find elsewhere, and polls such as the one asking readers if Abby Marshall should accept a wildcard invitation to the 2008 U.S. Women's Championship. Three answers are available - Yes, Definitely and Sure. How do you answer such a question?? When you just can't take another minute of opening or endgame analysis, and need a quick break, take a look at her blog. If it doesn't make you smile, I'm afraid you may have a neurological issue going on. Michael Goeller maintains the excellent Kenilworthian blog and has written an interesting article about an absurd-looking opening, one which GM Joel Benjamin has dubbed "The Brooklyn Defense." Goeller writes that "Benjamin clearly did the most to convince people that this seemingly preposterous opening might actually be playable." "As Benjamin and Eric Schiller note in Unorthodox Openings (1987), 'This opening is not nearly as dumb as it looks' and can even be 'psychologically devastating.' Most opponents will be insulted by such a cheeky retreat and will expect to obtain a big edge, which may lead them to over-reach. 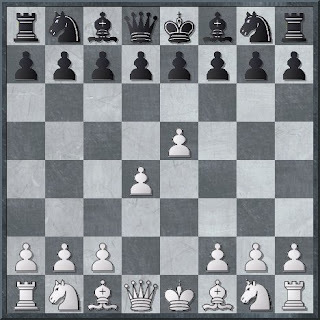 Yet Black's position remains fundamentally sound (he has introduced no weaknesses, after all!) and so any premature attack is bound to fail. In fact, it may be White who is most in danger since his center pawns have ventured forward and can be attacked or exchanged in typical hypermodern fashion." If you enjoy offbeat openings, you'll enjoy this article. As Goeller notes, "No doubt you'll have to see the opening in action to believe it." World-class trainer Mark Dvoretsky is best known for his endgame work, but this month at ChessCafe he annotates a 1908 Tarrasch-Lasker game, including comments from Victor Kortchnoi and Richard Reti. "Any other player would probably have lost this game. But Lasker, correctly assessing the position, once again followed his beloved psychological path. His next move looks like an oversight; but in fact, it’s a deliberate pawn sacrifice, with the aim of isolating the e4-pawn… The chief benefit that comes from saddling the opponent with an isolated pawn is not the chance to attack it, but control of the strong square that lies in front of it (here, e5), which may be occupied with pieces." My March Scholastic Chess column at ChessCafe is now online. It features selected coverage of the 2008 U.S. Amateur Team championships, with annotated games from Abby Marshall and Robby Adamson. Any time you have Abby annotate a game, there's a good chance that you'll have some lively commentary. This time she explains why she may be in need of psychoanalysis. The link above to my column will remain for the next few weeks, but the column is also permanently archived here. Just a Bit of Snow! So what if there's a bit of snow on the ground (10 inches)? 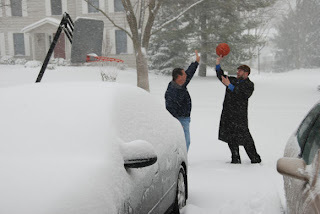 Taking a break from chess for a moment, I'm outside with my brother to try a little hoops. I'm in the hat. 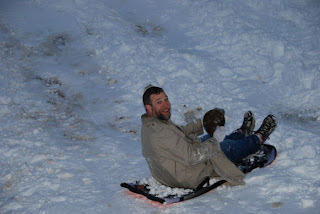 When I tell people I took my kids sledding, they think "What a wonderful dad!" They don't know that I'm one of the kids, too. Imagine sitting in on all the practices, film analysis and strategy sessions of a Super Bowl team for the two weeks prior to the championship game, and then sitting with the team during the game itself. 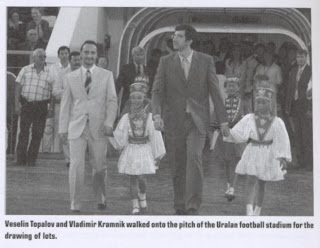 You would have the kind of inside access football fans would love to experience but precious few actually do. This inside access is what From London to Elista provides. For a chess world championship, both combatants develop teams of advisors, trainers, doctors, even chefs and psychics, to provide every edge possible, and to form and test ideas prior to and during the incredibly stressful championship match. 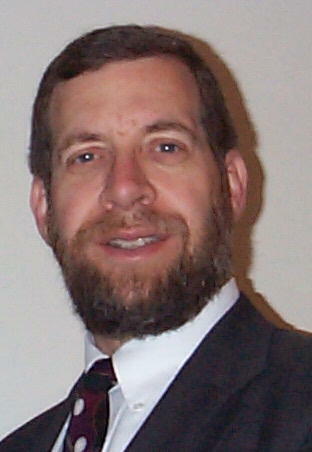 This review is available until about March 11, 2008 at the link above. It is also available in the ChessCafe archives.